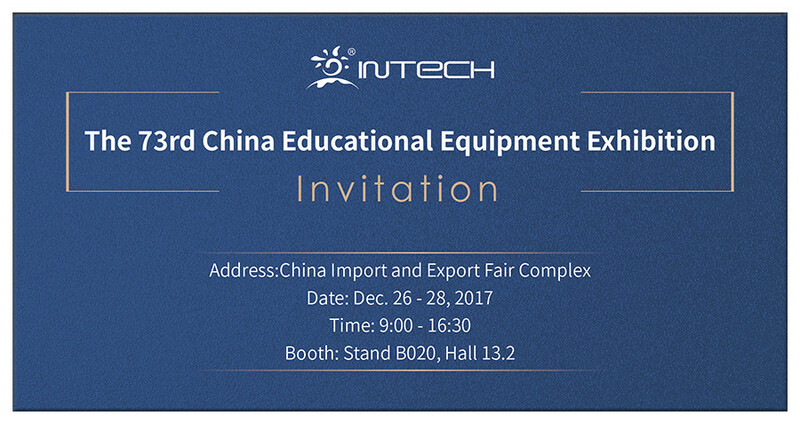 INTECH will attend the 73rd China Educational Equipment Exhibition that will be held in China Import and Export Fair Complex, on Dec. 26 - 28, 2017. In this event, INTECH is going to take our latest products, RFID smart library system, 24h self-service library and smart campus IoT solution to this exhibition. In addition, we will show our popular interactive whiteboards in various series. We look forward to seeing you at our booth Stand B020, Hall 13.2, and would like to exchange our ideas.